We’d love your help. 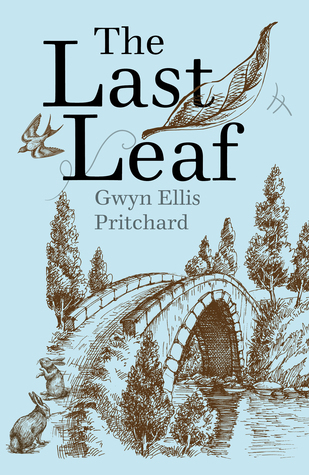 Let us know what’s wrong with this preview of The Last Leaf by Gwyn Ellis Pritchard. To ask other readers questions about The Last Leaf, please sign up. 4☆ A Compelling Story of Friendship and Adventure. The Last Leaf is a beautifully compelling story about Friendship, society, differences and family set in the Victorian times. Jack and Isabella are best friends. Despite their differences the two have bonded through their loneliness, love of nature, learning, and zest for life. You see Isabella is the little lady of Oakfield Hall and Jack is the son of the Head Gardener of the Oakfield Estate. Due to Isabella's social class she should not be mixing 4☆ A Compelling Story of Friendship and Adventure. But they are the only two children on the estate and are drawn to each other. So they meet in secret as they embark on adventures. As the story develops so does their friendship. But can their friendship last as social class dictates their future? What I loved most about The Last Leaf was how much passion, thought and dedication Pritchard has put into writing this book, making it authentic and personal. The story behind Pritchard writing this book was Touching and heart warming. Although this is for the middle grade age group I do think it would be more suited to ages 10+ unless it was as a group or bed time read. My reasoning for this is some of the subjects and wording is a little heavy and could be a little off putting for the younger reader. Having said that, this would be a wonderful book to have in schools or for a book club to discuss topics such as Victorian era, cultural challenges, discrimination, grief etc.. The Last Leaf is an Enthralling, Fun, compelling and poignant read, with a good dash of wit and humour. The story flowed along beautifully, the historical references were well written, the characters were charasmatic, believable, and well thought out. It didn't take me long to be whisked away into the heart of the story. If you are looking for a shorter historical adventure read set in the Victorian era, that has an Enchanting storyline, for the younger reader, then I would definitely recommend reading The Last Leaf. I am looking forward to reading more from Pritchard aka " Gwynanory "
Thank you to Faye at Authoright for this copy which I reviewed honestly and voluntarily.